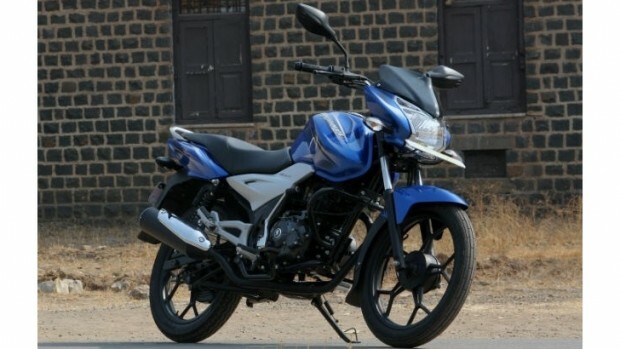 Bajaj Auto has announced the launch of the Discover 100M. The Bajaj Discover 100M is built on a new platform and uses a single crade-frame. It is powered by a 100cc, 4-valve DTSi engine which produces 9.3Bhp and 9.8Nm of torque. It has a top speed of 95kmph and M in the 100M stands for Mileage. The Discover 100M gets a new aluminium footrest holder. The wheelbase is shorter at 1305mm and electric start is standard. The Discover 100M is priced at Rs. 44,754/- for the non-disc variant and Rs. 47,699/- for the version with a front disc brake. Claimed mileage on the Discover 100M is 84 km/l which gets a 4-speed gearbox instead of the 100T’s 5-speed unit. The Discover 100M gets five colours – red, blue and black. The black colour comes with three different decals – red, olive and blue. The 100M has a fuel tank capacity of 9.5-litres against the 100T’s 10-litre tank.